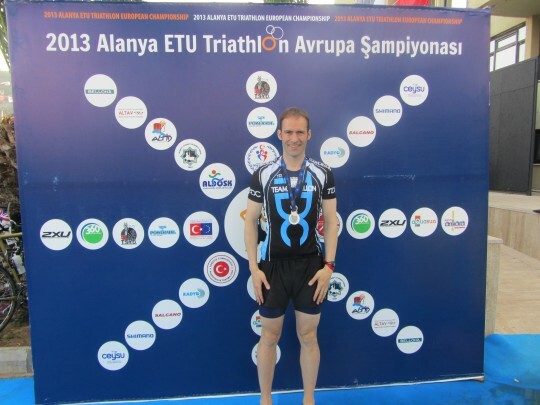 Its been another fantastic weekend for TDC at the European Triathlon championships held in Turkey. 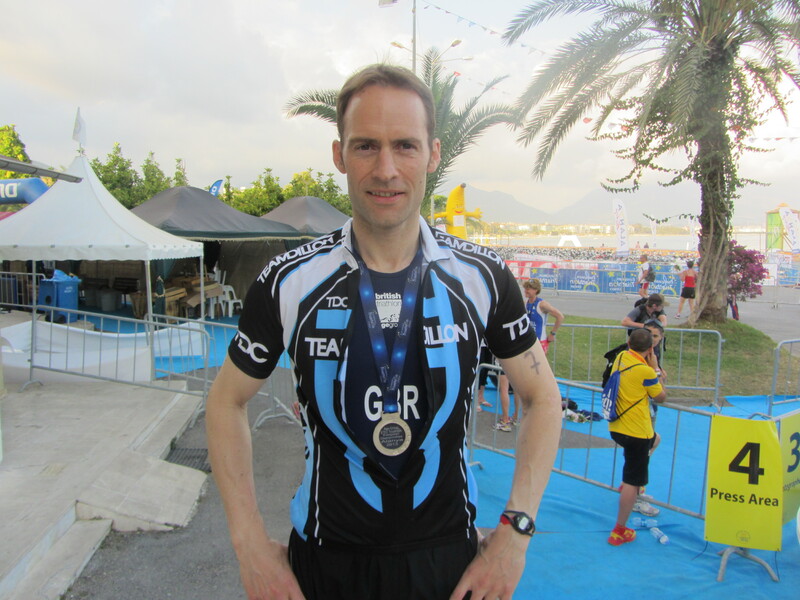 Leading the way was TDC athlete Paul James who was racing over the Olympic distance in Turkey in the 40-44yrs Age Group, Paul had a storming race to finish up with the silver medal and onto the podium in a time of 1.58.27. Shown below on the podium and with his medal. TDC are so proud of Paul, he has been working really hard over the winter with his coach Annie Emmerson, im sure there is lots more to come. 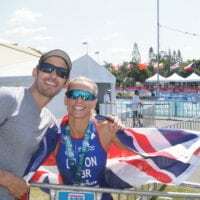 We had a big team of TDC athletes in Turkey and they included Helen Crossley who was first out the water in her AG and then finished 8th place overall in the 40-44yrs in a time of 1.14.34. Helen is coached by Catherine Liversidge and making massive improvements. Well done team! Steve Anyon also finished in 8th place in his AG 35-39 Catagory over the sprint distance in a time of 1.00.15, his coach Perry Agass very proud! 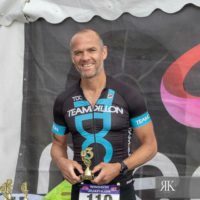 Andy Niven finished a fantastic 9th place in his AG the 25-29yr, in the Olympic distance race & in a time of 2.04.19. Andy is coached by Jill Parker a former Age Group Gold Medalist. 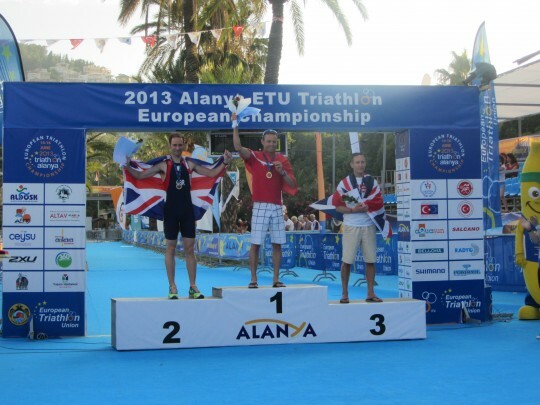 A fantastic result by Andy and coach! 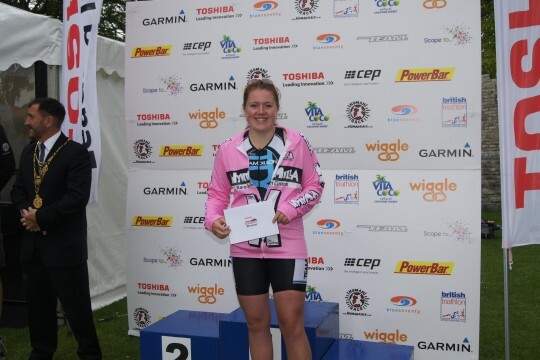 Jessica Josselin finished 9th in her AG 30-34yrs over the sprint distance in a time of 1.10.42, Jess has done extremely well to juggle a busy family life with her little girl and work to achieve this result. Well done Jess! 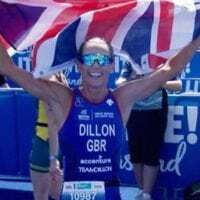 In other news Marthe De Ferrier has just been advised that she has qualified for the World Aquathon in London, at Just 19yrs of age she is the youngest member of Team Dillon and we are very proud of her achievements, Seen pictured below at Windsor over the weekend. Marthe is coached by Perry Agass, Congratulations Marthe.